Automatic: The transmission uses a variety of clutches, brakes and bands to change gears without driver input. Manual: The driver operates the clutch with a pedal and gear shift to regulate torque transfer from the engine to the transmission. Regardless of the type of transmission in your car, it may develop a problem that causes it to “slip.” This is a common transmission problem, and if ignored, it can cause other problems to your vehicle. That’s why, if you suspect you have a slipping transmission, you should bring your car in to Scott’s Fort Collins Auto & Repair for transmission service as soon as possible. The RPM gauge regularly goes above 3,500. The engine revs, but there’s a delay in acceleration. This can happen from a stopped position or when the car is already moving, such as when you try to accelerate and pass someone on the highway. With an automatic transmission, the vehicle has trouble getting up to speed because the transmission won’t shift to the next gear. 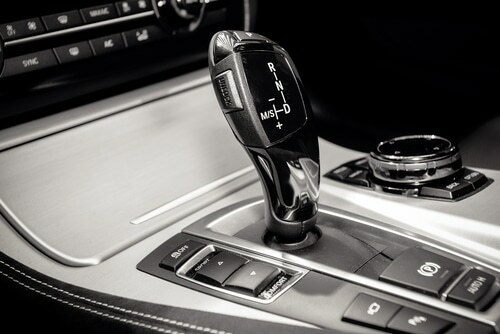 With a manual transmission, the RPMs will surge when you shift up, but the car won’t accelerate the way it should. What Causes a Slipping Transmission? Many issues can cause a transmission to slip. The first possibility is that the components in your transmission are worn out, causing them to literally slip when attempting to make gear changes. The results may include erratic shifting or an over-revving engine. Transmission components can wear out over time from just driving normally, but driving gently helps these components last longer. Another cause of a slipping transmission is low fluid pressure, which prevents the transmission from fully engaging. Low pressure may be caused by bad fluid pumps, clogged filters or a low fluid level. Many vehicles allow have a red dipstick found in the engine bay that allow you to check the transmission fluid level. The key to fixing the problem is to pinpoint the cause. If you find the transmission fluid is low, you can refill it with the manufacturer’s recommended type of fluid. This should fix the problem. However, if the transmission starts slipping again after a few days or weeks, this indicates you have a transmission fluid leak that requires a repair. If another cause is responsible for the slipping transmission, you may need to replace worn out parts, transmission bands or a defective shift gear to fix the problem. Change the transmission fluid and filter regularly to make sure there aren’t any particles suspended in the high pressure fluid that could be abrasive to components and make them wear down sooner. Accelerate more slowly in cold weather to keep the RPMs low until the engine has time to heat up. Since transmission fluid lubricates components better when it’s warm, taking it easy on the engine in cold weather helps the transmission last longer. Use the “high performance” shift option sparingly if your vehicle comes with this option. This wears out the transmission faster by making harder shifts, so avoid using it most of the time. Have your vehicle maintained regularly. When you take your car in for an oil change, ask the mechanic to thoroughly check out other components. If a problem is developing, you can nip it in the bud before you have an emergency on your hands. To schedule vehicle maintenance or transmission repair, please contact Scott’s Fort Collins Auto & Repair online or call us at (970) 682-4202.